Composed by Jan Vaclav Stich. 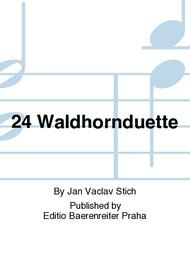 Czech title: 24 duet pro lesni rohy. Classical. Performance score. With Publication language: Czech. Editio Baerenreiter Praha #H04422. 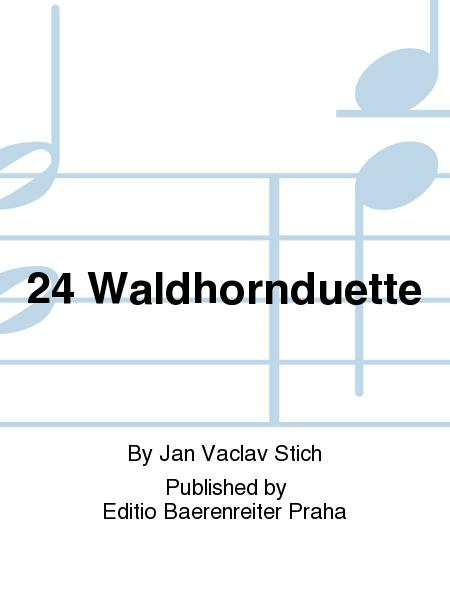 Published by Editio Baerenreiter Praha (PA.H04422). ISBN 9788070583661. 31 x 23.2 cm inches.